Audition results will be e-mailed to directors prior to Thanksgiving Break. 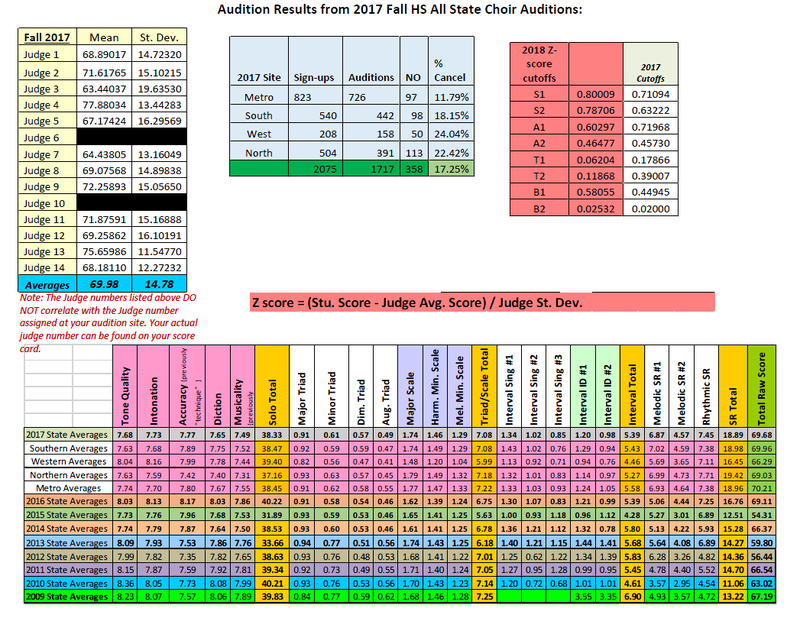 The following document provides Judge averages, Z-Score cutoffs, and state averages for skills. This is the data being used to calculate Z-Scores for students.